This is one of the loveliest soups I have ever had the pleasure of putting together. It’s simple and flavorful. I adapted it slightly from Bobby Flay’s Mesa Grill cookbook. Heat through to 160°. Add more chicken stock, if it’s too thick. What a lovely bowl for your lovely soup. 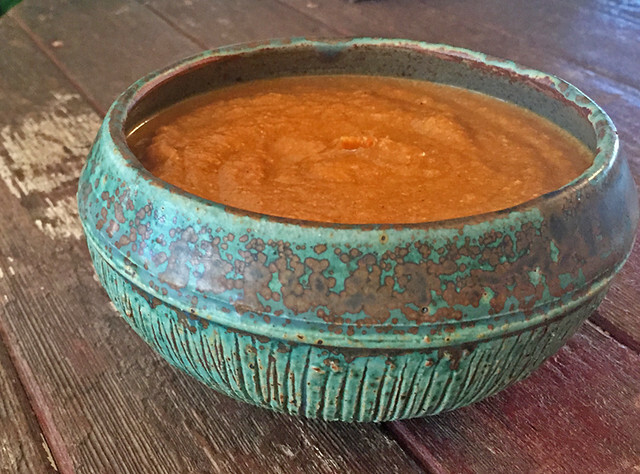 I love pumpkin soup so this is a must try!